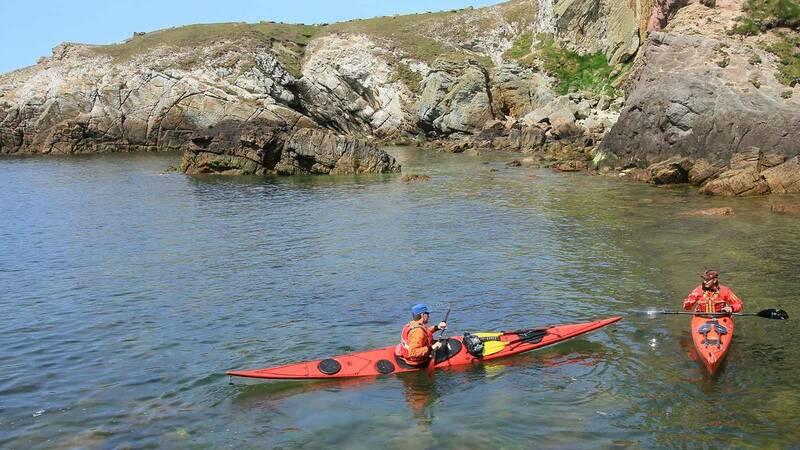 Some of the best sea kayaking in the UK can be found along the coastlines of Anglesey and the Lleyn Peninsular. So why not start your sea kayaking journey with us here in North Wales? 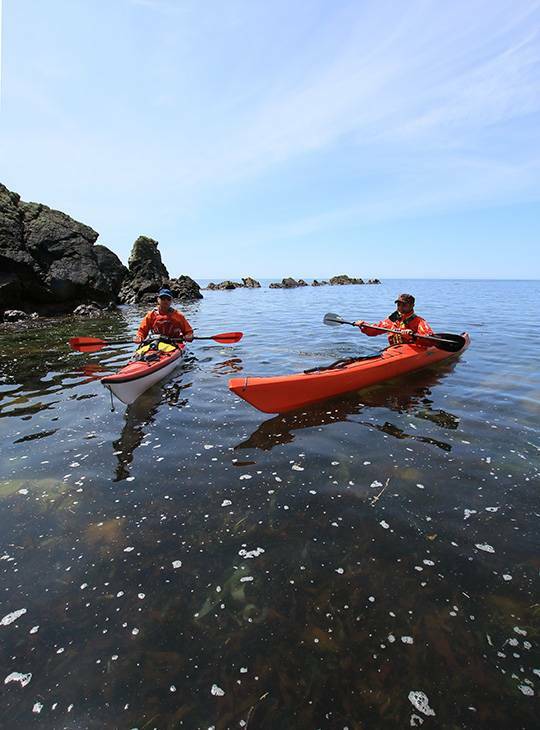 Using British Canoeing’s Sea Kayaker award as our guide our highly qualified and experienced specialist sea kayak coaches will help you to develop your sea kayak handling skills. You will also be developing your ability to make appropriate decisions for an enjoyable and safe day out on the sea. Helping you to understand how tides and the wind may affect your journey and what to do if things don’t quite go to plan. By the end of the week, you’ll have the chance to get assessed and an action plan for future progress developed. The Sea Kayak Award endorses your skill, judgment and the decision making required for a successful day on the sea. The course will help you to develop confidence in planning and undertaking journeys on the sea, in winds up to and including force 3 and/or tides up to 1 Knot, using sea kayaks or sit on tops, in tidal or non-tidal environments, with proficient skills to be in control throughout. Your award should be seen as a sound basis for building the experience and knowledge associated with Coastal Sea Kayak Award holders. This award has replaced the 3* Sea kayak award. You'll spend day one in our pool looking at rolling and recovery skills, followed by time on the lake starting to cover other syllabus items. During the rest of the course, we'll travel to venues in and around the spectacular local coastline covering skill development. You'll complete your assessment as you move through the week. You should have kayaked before and had some experience of sea kayaking. The British Canoeing 'Discover' Paddle award or old 2* standard would be a useful indication of starting ability. All you really need to bring is sufficient base clothing to wear, and some suitable footwear. Our stores have a wide range of Peak UK soft wear as well as paddles. We have an extensive selection of different styles of sea kayaks. This is an ideal opportunity to try something new if you'd like to. If you prefer the familiar, feel free to bring along your own kit. An effective sea kayaker as part of a group. It would be an ideal starting point to look toward the British Canoeing Coastal Kayaker award.